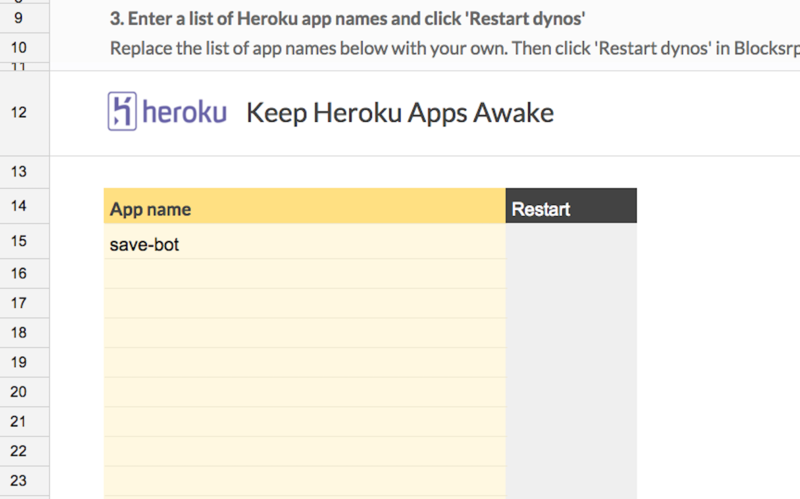 Free Heroku apps go to sleep every hour. This template will restart the dynos for a list of apps every hour to make sure they don't go to sleep. This is especially great for bots!